Doing good things for animals - Mogo Zoo caters for endangered animals and participates in animal breeding programs. 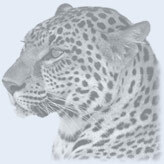 Care for the Wild International is an animal welfare and conservation charity who protect wildlife from exploitation and cruelty and fund projectsfor injured and sick animals , plus forthose who cannot return to the wild. News story on extreme cruelty and trapping of Snow Leopards and trading in body parts. Place where you can offer badly needed and urgent help with Snow Leopard anti poaching. conservation of these these species in the wild. For over 600 images of snow leopards. Live from the snow leopard exhibit at the Bronx zoo.